Modular Impact Barriers - Warehouse barrier rails to protect structural platforms, in-plant offices, conveyors, water mains, valuable equipment & personnel. Warehouse barrier rails to protect structural platforms, in-plant offices, conveyors, water mains, valuable equipment & personnel. The universal column design of these modular impact barriers makes it possible to create nearly any configuration. Rails available in bolt on or lift out configuration. Installation is simple and straight forward and the rails and columns come painted in bright, OSHA yellow. Single Rail Impact Barrier - Corner - 20 ft.
Impact Barrier - Corner Configuration. One ten foot section with one upright. Must be used with the straight or corner Heartland Engineered Products Impact Barrier rails. Single Rail Impact Barrier – Straight - 10 ft. 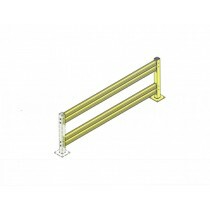 Single Rail Impact Barrier - Extension - 10 ft. 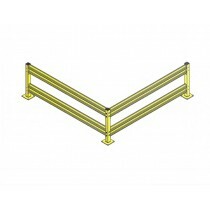 Double Rail Impact Barrier - Corner - 20 ft. 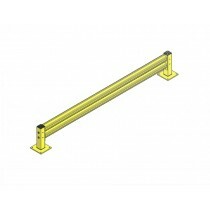 Double Rail Impact Barrier – Straight - 10 ft.
Impact Barrier - Corner Configuration. One ten foot section with two uprights. Must be used with the straight or corner Heartland Engineered Products Impact Barrier rails. 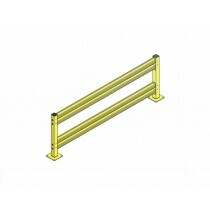 Double Rail Impact Barrier - Extension - 10 ft. 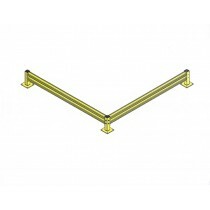 Anchors are 1/2" x 4"
Hardware is A325 1/2"x 1-1/2"
Columns Available in: 18" and 42" heights. 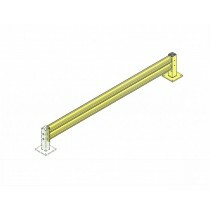 Rails Available in: 4 foot to 10 foot lengths. Have a Question About Modular Impact Barriers? 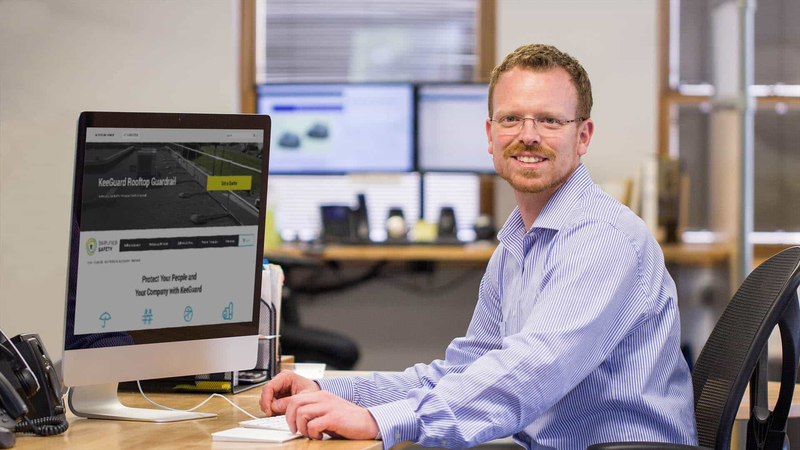 Our team is here to help you choose and configure your modular impact barriers. Describe anything else about the project or environment that you think may be helpful.